Rory Walker’s first, and most enduring, leadership lesson happened several decades ago on a muddy, wet building site. A young engineer at the time, Walker, who is now Strategic Account Director for the local arm of cloud computing leader, Salesforce, says it was "suggested" by the foreman that he get out of the site hut and into the rain to help a worker doing some measurements on his own in the "grizzly weather", he says. "The rest of the work team saw it and realised I was prepared to muck in and respected that. It was a lesson that positional power is nothing if you can’t influence through goodwill." Walker, alongside 92 other business leaders, will today be sharing his leadership know-how with the next generation of leaders during AUT’s Shadow a Leader day – lessons that may resonate long after the close of business. Now in its sixth year, Shadow a Leader matches a year 13 student and an AUT business or law student with a business leader. 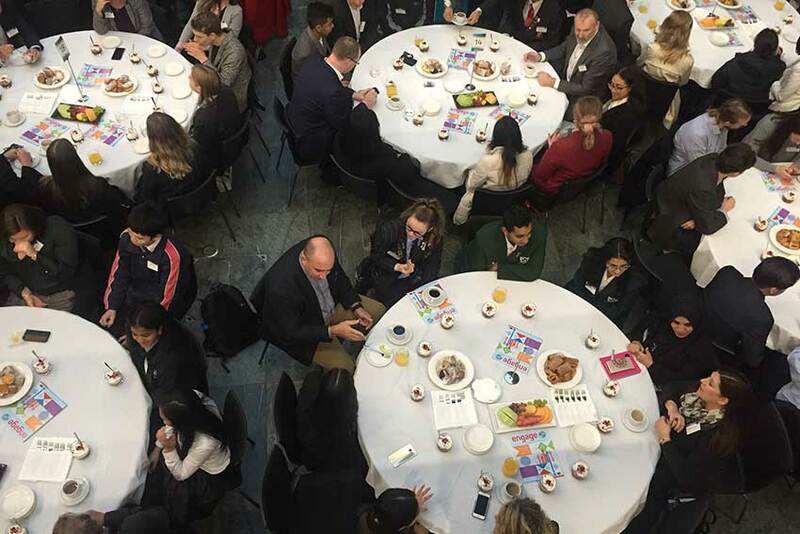 On 5 July 2018, 186 students from 40 schools across Auckland and AUT’s Faculty of Business, Economics and Law were exposed to the day-to-day workings of leadership in action. Students were selected based on their leadership capabilities, potential and overall achievement. Walker says his student team will not only experience examples of the company’s products in action but how Salesforce has built its business around the values and purpose “that the business is business is to improve the state of the world”. The company, which has spent US$9 million over three years balancing gender pay equity, gives employees seven paid days of volunteer time (56 hours) to give back to the communities in which they live and work – something the students will be doing alongside Salesforce staff on Shadow a Leader day. Dean of the Faculty of Business, Economics and Law, Professor Kate Kearins says Shadow a Leader provides a unique opportunity for young, aspiring leaders to gain insights from the current generation of business leaders – and vice versa. "More and more the research is telling us that organisations and society thrive through the building of diverse teams – a mix of genders, age, ethnicity and cultures – the right people, with the right support and the right environment. One that is inclusive and flexible. "We hope to see that mix in action over the Shadow a Leader day," she says. Deborah James, Head of Diversity and Inclusion at Auckland Council, says creating thriving, diverse workplaces requires work but Auckland Council is striving to break down as many barriers as possible and create an inclusive environment for its staff so that it can better service Auckland’s diverse communities. 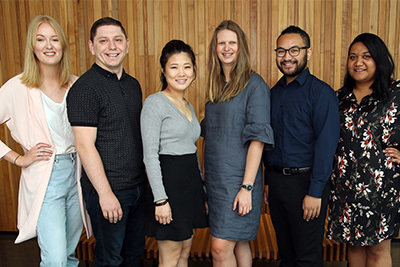 Auckland City leaders including Head of Maori Strategy, Policy & Effectiveness, Theresa Roigard and Head of Te Toa Takitini programme, Amokura Panoho, will be taking four teams of students through a day of public policy and governance. "We know that right across organisations, and particularly at senior leadership levels, diversity enhances creativity, innovation, and financial performance. Employees who have diverse life experiences bring different perspectives, thought processes, skills and creativity to team-based problem solving, helping teams make better and more innovative business decisions, says James. Professor Kearins says AUT Business and Law Schools is grateful for the generosity of the business leaders who gave up their time to share their leadership expertise and business experience with the students.